Celebrate Valentine’s Day in style on this luxury-filled yacht cruise. Glide past New York’s glittering skylines, from the Statue of Liberty and Governor’s Island to Brooklyn Bridge and beyond. 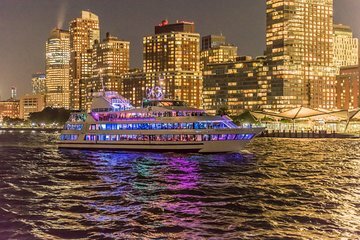 Specialty boat trips include a romantic dinner service—with a complimentary glass of champagne—and onboard dancing with your special someone, including a live DJ service.